Interviewer: Where did you get the idea for the app? Ahadi Ture: My dad and mom always asked me, "How would you leave a legacy?" And my idea of leaving a legacy was just giving [some] money back to the community. That was the biggest thing. I was really good at basketball and I was really good at baseball. I was going to make it to the major leagues and I was going to give [some of my] money back...But around Junior year, I got hurt [playing] baseball and I never was the same -- I didn't have the same confidence. I tried to figure out what could I do?...How could I still make an impact? While working for Radio Shack, Ahadi was offered a promotion going from Assistant Manager to Manager. Although he was excited about managing his own store, Ahadi's higher-ups told him that his pay would not increase due to his lack of education. He was hurt by the company's decision, especially given the fact that he knew the products and was good at his job. He decided to go back to school. "I got to Morgan [State University] in 2014...and it just felt like home...I met some really special people there." 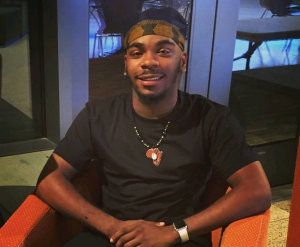 During his Freshman year at Morgan State, Ture and a group of friends wanted to leave their legacy, which led to the idea of creating the '4 The Culture' app. People kept asking Ture how he became so conscious of and well-versed in Black history and Black culture. 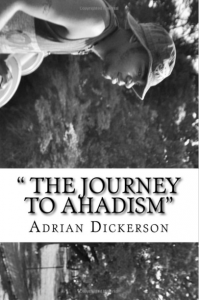 He answered that question by writing his book titled, 'The Journey To Ahadism' -- Ture's book breaks down the word Ahadism outlining his journey from his given birth name, Adrian Dickerson, to his consciously Black name Ahadi Ture. After making a decent profit from his book, Ahadi took that money and recycled it back into the community. He has poured a lot of his own money into the creation of this app. 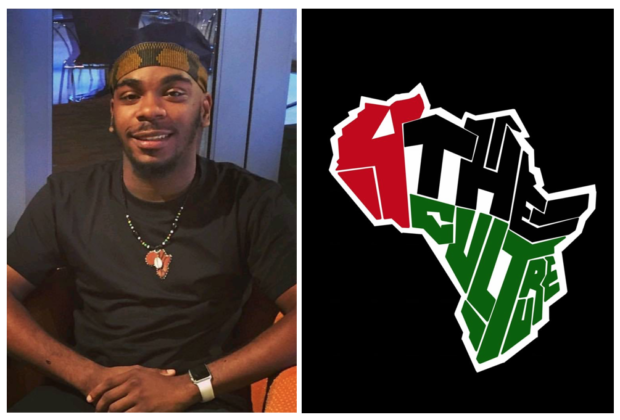 For Ahadi, the '4 The Culture' app is not about making a profit but is instead about his legacy. "...So, yeah, that was the motivation behind it -- trying to find that legacy. Trying to find something that my kids and their kids can look at." I: Do you have any plans in terms of expansion and maybe even plans of monetizing the app? 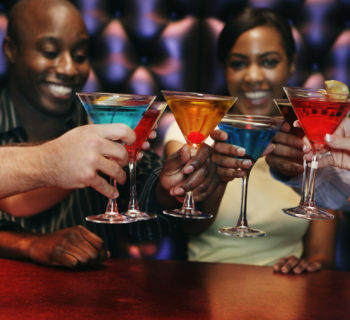 AT: ...With businesses, let's say you have a hair [salon] or a nail salon...I would come to you as a Black business owner and I would break down the different plans that we have: We have the 3, 6, 9, and 12-month plans. Say you want to put your business on [the app] for six months, that would be a total of $60; for a year it would be $120...We try to make [the app a platform for] affordable marketing for those [who] really don't have the money to market themselves. Implementing various methods, Ahadi is attempting to generate revenue that he can then use to fund the app. One way is to sell T-Shirts. The T-shirt vendor he's been dealing with is giving him the runaround, so if you know of anyone who can help him out, drop a comment below. Ture has also searched for investors, he plans to research crowd-funding opportunities, and advertising through Google and Apple. But Is The App Really Worth It? I: Why should someone download your app? that's dope man but how can it help me?" 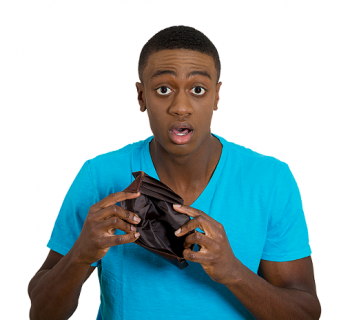 and I say, "Did you ever think about saving money? Did you ever think about meditating? [Are you ever] depressed?..." You know, like we deal with these things but we never want to express them. Here is a platform [that] you can...analyze and see how it can help you. I downloaded the app as soon as I heard about it. Not only is the interface very inviting and user-friendly, but the app is highly useful. I personally have gained a great deal of information. I've learned meditation techniques, I've been exposed to certain books that I didn't know about, and I'm constantly updated on current news affecting the Black community. And while scrolling through the app and taking notes of everything that '4 The Culture' has to offer, I noticed a motif. The number '4' appears many times throughout each tile within the interface. Be it the actual number or a list of four ways to complete a particular task. Of course, I had to inquire about the repetition of the number four. I: What is the significance (for the app and maybe for you) behind the number 4? "That's what it is. 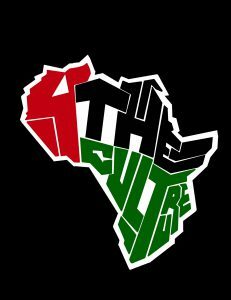 This app is for the culture -- the culture of our people." Again, after spending some time in the app, and especially after talking to Ahadi, there is no reason why you shouldn't download this app. 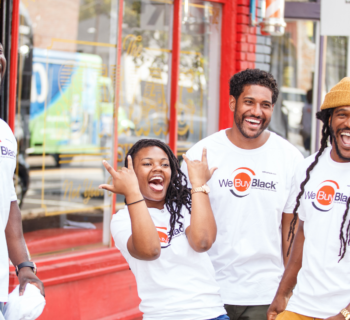 If you're in search of a Black-owned interface where you can learn about your history and culture -- and you have a smartphone or tablet -- then you need to download this app.